The Gear S2 has been teased several times by Samsung but we've not managed to catch a proper look at it in the flesh, until now. 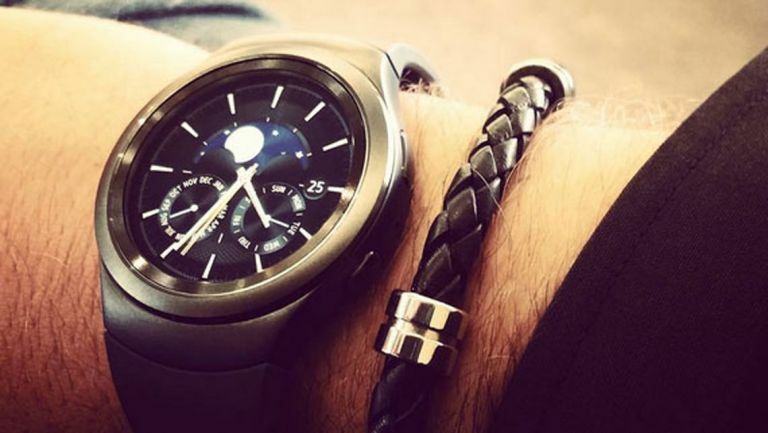 Helpfully a Samsung designer has shared a photo of said smartwatch on his social media account to whet our appetite ahead of its official launch. Samsung's mobile executive Dennis Miloseki posted the photo on his personal account and it shows off a metal design with a round display sat in the middle. It is, to our minds, just that tiny bit nicer than the original Samsung Gear S.
We can see a couple of buttons around the sides at the 2 o'clock and 4 o'clock positions that we assume will help you to navigate your way through the OS, and don't forget about the funky rotating ring bezel which will also provide you with interface controls. The really good news here is the Gear S2 face and slender-ish bezel make it look like a traditional watch with no real hint toward the Tizen software we're expecting to see. The caption of the photo reads “Giving the new Samsung Gear S2 a test drive”. It's known the watch will launch at the IFA 2015 press conference on September 3, so there really isn't long to wait until we see even more of the watch in full.